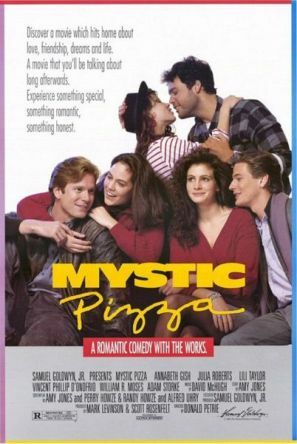 This seemingly predictable story of three girls working at a Connecticut pizza joint ended up being a pleasantly unconventional, comedic, and heartwarming tale of love and friendship. And pizza. I realize that's about the most generic description of a movie anybody could possibly write (seriously, "heartwarming tale of love and friendship"? ), but it's a cut above the average...whatever category of movie this is...because the characters are believably human. It took a little while for me to get invested in it, but we ended up giving it a 4/5, though I could have been persuaded to settle on a 3/5 instead. This Chinese remake of the 2000 Mel Gibson/Helen Hunt film by the same name is an almost verbatim retelling of the original movie (as I remember it, anyhow), but there's more than enough unique flavor brought to the table by the cultural and casting differences to make this not only a worthy remake, but an enjoyable movie in its own right. There's a fun chemistry between the two leads, and the supporting characters are amusingly quirky, but triple-threat actor Andy Lau really sold me on the film--whether dancing, singing karaoke, or emoting dynamically, his sheer force of talent and personality got me to like him not just as his character, but as an actor--I'd easily watch another of his films simply because he's in it, and that's not something I can say about more than a dozen or so actors. We also gave this one a 4/5. Organizing the patients of a mental institution to put on an opera by Mozart sounds like something with equal potential to be touching, hilarious, or incredibly uncomfortable, depending on how it's handled. Fortunately, this Australian film does a good job of balancing the first two and somewhat minimizing the third, although it takes a while for the momentum to get going and the humor to fully develop. I was inclined to give this a 3/5, but everything builds up to a riotous conclusion, complete with what might be the most wonderful post-credits tag we've ever seen in a movie...which is what ultimately swayed us to also give this one a 4/5. 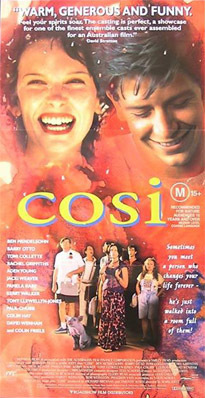 I picked this one out after seeing Colin Hay in concert and being curious about his film and television appearances, but it was an added bonus to see the actor who played Faramir in Lord of the Rings alongside him as a fellow patient of the mental institution (which, of course, we didn't realize until after the fact). Exfanding Your Horizons Turns 4 Years Old!